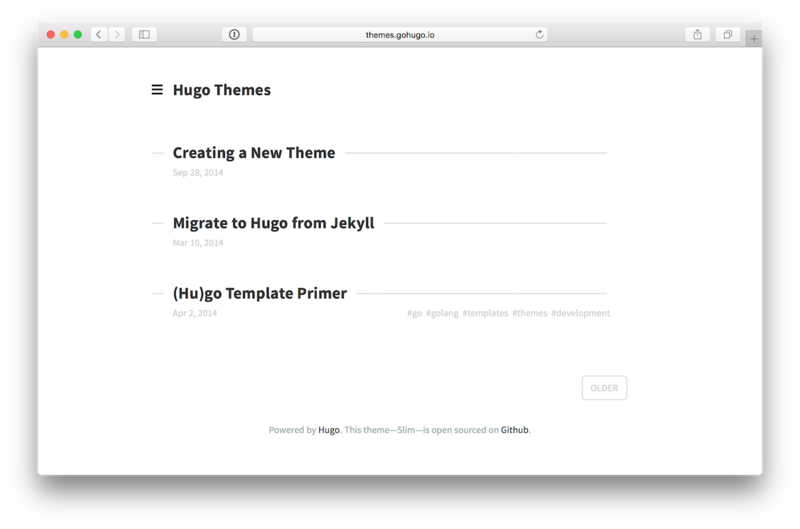 A slim minimal theme for Hugo. Slim is a minimal, clean and beautiful theme for Hugo. Subtitle = "Your site's subtitle/tagline"
AnalyticsID = "Your Google Analytics tracking code"
# if both are set to true, summary is shown. # FooterMsg = "Copyright Me 2016. Powered by Hugo." AnalyticsID: "Your Google Analytics tracking code"
# FooterMsg: "Custom footer message. Powered by Hugo."